Have/has online exercises.I find it useful,and you...? Have fun using it in your classes. Ss fill in exercises ising the correct form - have or has. Have/ Has /Am /Is /Are online exercise. 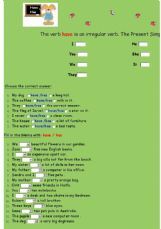 Have fun using it in your classes. Have a wonferful day!!! Victoria! Ss read short passages and complete the sentences. 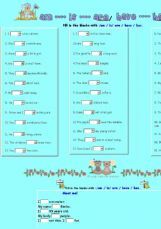 Online exercise for teaching the verb have/has. 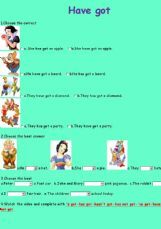 This is a good exercise to reinforce is, isn�t, are, aren�t, do, does, don�t doesn�t. 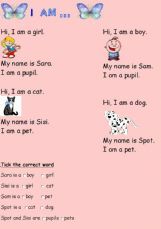 This is just an exercise about am, is, and are verbs. I used this in one of my lessons for kids. Hope it will help.